Academy of Natural Sciences connects the dots between real life and mythic creatures. A unicorn is among the most popular of mythic creatures. Long before comic books, Gritty and "Game of Thrones," humanity was doing crackerjack business in creating myths and monsters out of what was in nature. In an effort to draw the line and distinction between "scientific fact and mythical fiction," the Academy of Natural Sciences has announced a new exhibit "Mythic Creatures: Dragons, Unicorns & Mermaids," which opens Saturday, Feb. 16. Examine specimens — a manatee, octopus and skull of a crocodile — and compare them to their mythical counterparts — the mermaids, krackens and dragons. Mix secret ingredients to make unicorn poop soap slime. Watch live sea monkeys in action. Observe a squid dissection and see how the anatomy compares to the kraken, the iconic sea monster. Practice writing with real squid ink. Meet some live animals that people once believed were dragons and griffins. 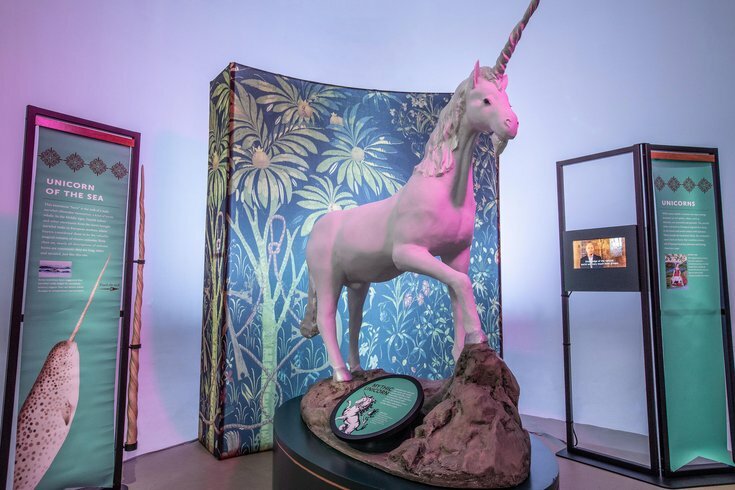 Folks will also be able to talk with museum experts about the actual animals that inspired the legendary creatures including the narwhal, an Arctic whale with a long protruding tusk that may have spawned the unicorn. The activities are free with museum admission.